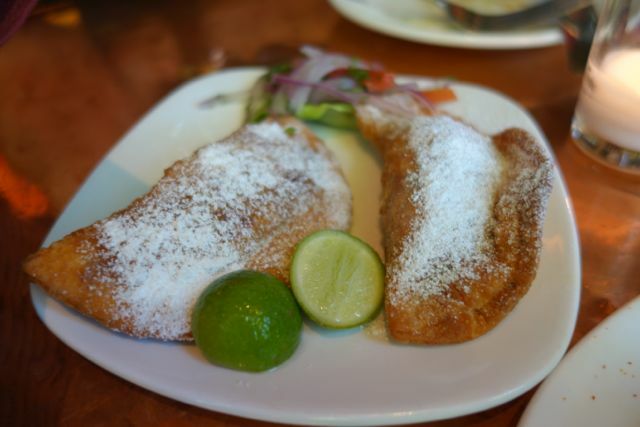 When Andina first opened up we went and we really enjoyed ourselves. They won Restaurant of the Year in ’09 I believe (correct me if I’m wrong) and I was not surprised, they are that good. Still after all those years we had never ventured back. Unsure why, we planned specifically to check them out again. Knowing that they are priced on the high side, we chose to join them for Happy Hour. Not only can you partake in a few items at Happy Hour pricing, you can also order off the whole entire menu. Kind of the perfect combo. We took advantage of the Happy Hour drinks and a few appetizers. From there we just started ordering. Here is sampling of what we enjoyed. 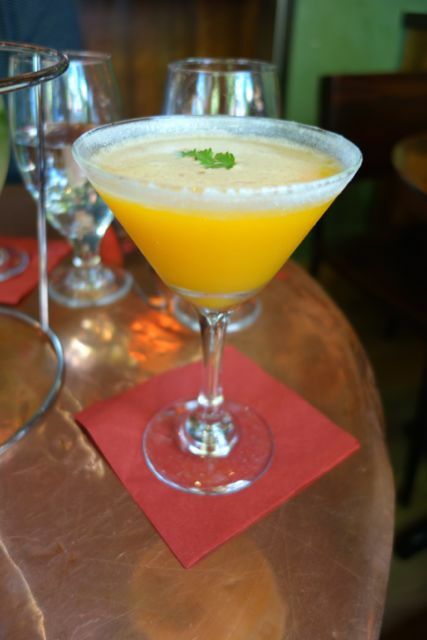 Happy Hour at Andina needs to start with a habanero drink right? Beef heart kabobs. It’s true, I love beef heart. 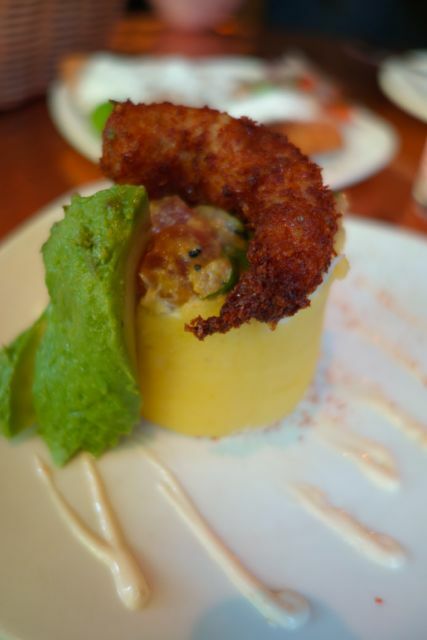 I loved this lime potato cake with shrimp. Best scallops we have ever had. EVER! The octopus was the most tender I have ever had. We were both wowed by this dish. I love beef heart, so this dish was great. They did marinate it, but I appreciated that you could still tell it was beef heart. 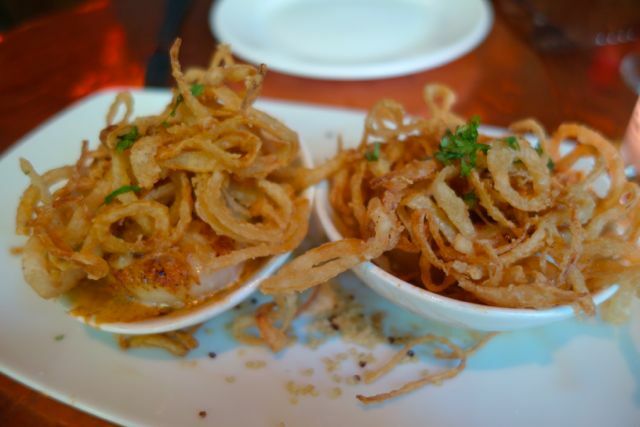 I will have to say that those scallops were the best scallops we have ever had. (Yep I said “best I ever had” twice!) 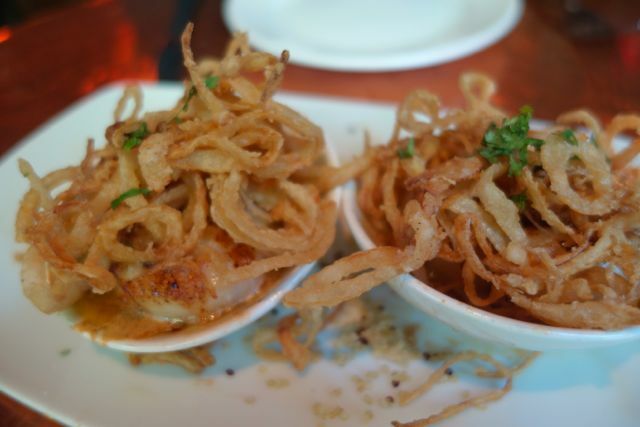 We tend to order scallops often and have tried so many different ones, and this one was by far the best. I wish we would have ordered more. 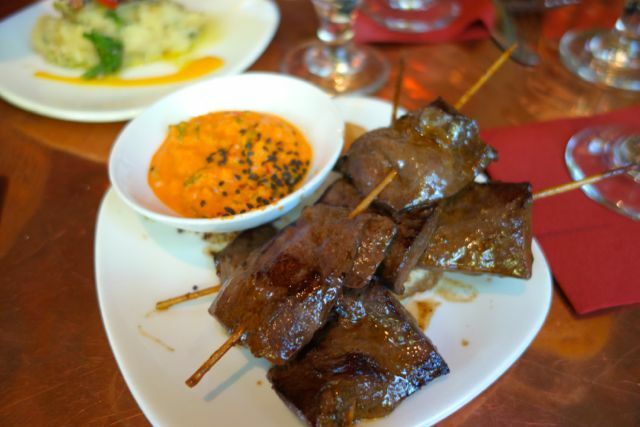 There are still more things on the menu we would love to try, so a trip back is in order. Except this time maybe we won’t wait so long. Atmosphere has a great Peruvian flair to it. Lots of great color throughout. We sat in the bar which was also great. Pricing is on the higher side. Many of the things we ordered were about $10. Everything was exceptional, making it worth every penny. Service was good. We actually had 2 people share their favorites and they both suggested nearly the same things. Drinks were great. They had spicy passion fruit cocktail that was fabulous. If you can’t handle spice don’t get this drink though, it did have lots of kick. 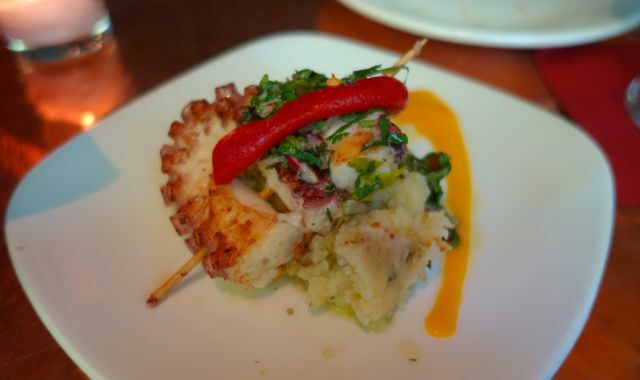 Andina is located in the Pearl District.